The rise in the number of nonprofit journalism organizations has been heralded as one of the news industry’s most promising recent developments. Veteran reporters, tech-savvy journalists and members of the public are starting vibrant journalism nonprofits to fill the gaps commercial media are creating as they consolidate and slash newsroom jobs. The early results are promising. Nonprofit journalism websites have won Pulitzer Prizes, pioneered innovative community-engagement efforts and begun important collaborations that are putting the value of public service journalism back in the heart of local media. But complex, contradictory and out-of-date tax laws threaten the survival of these organizations. To ensure the long-term health of these projects, we need to update our tax code to account for what is both a new kind of journalism and a new kind of nonprofit. Since 2008, there has been a spike in applications for 501(c)(3) nonprofit status from journalism organizations. This uptick has raised red flags at the IRS. Even though many journalism nonprofits existed prior to 2008 and received IRS approval, the agency has traditionally taken a skeptical view of journalism as a charitable activity. Now the IRS has bundled recent applications from nonprofit news organizations and is studying them carefully because they have the potential to set a new precedent. This is hindering the growth and sustainability of nonprofit journalism efforts and threatens to undermine even longstanding organizations. In the short term we must call on the IRS to rule favorably on the applications currently under review. In the long term we need a policy solution that will pave the way for a new era of nonprofit news in America. In Free Press’ 2011 report on international models for public media, we noted how many of the changes we are witnessing in the American media landscape are also happening internationally. Public media systems around the world are debating how best to transition from broadcast to broadband, newspapers are cutting costs and struggling to adapt to the digital age and governments are grappling with ways to bridge the digital divide. All of these debates impact the future of journalism at home and abroad. No matter what you think about tax cuts for the rich or corporations, everyone seems to agree that our tax code is too complex. Understanding the IRS’ concrete guidelines and navigating the nuances of past IRS rulings can be a daunting undertaking. They say nothing is certain except death and taxes. Last weekend, those two things went hand in hand when the Chicago News Cooperative — a major nonprofit journalism organization — was forced to suspend operations, thanks in part to the IRS. In this era of media consolidation, nonprofit journalism is more important than ever. 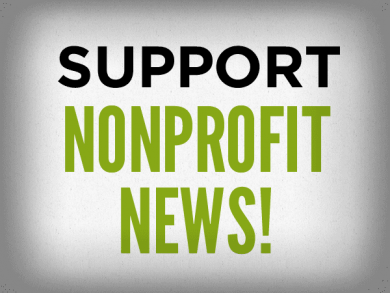 Tell the IRS that Americans support nonprofit news. For decades, nonprofit news organizations have produced some of the best journalism in the United States. But IRS delays are jeopardizing the future of nonprofit news. You can schedule face-to-face meetings with your elected officials to discuss the need to support legislation promoting nonprofit journalism. Journalists themselves are weighing in on the future of nonprofit journalism. Some, like Steve Katz at Mother Jones, have experience defending their organizations’ nonprofit status, while others, like Steve Myers of the Poynter Institute and Bruce Collins of C-SPAN, write from the perspective of unique longtime nonprofit news models. We need to engage in a truly public conversation about what the future of journalism should look like and point policymakers and regulators toward an agenda that will save the news and serve the public good. Journalist arrests and press suppression have become so commonplace that the U.S. ranking in a prominent global press freedom index has plummeted 27 spots to number 47. Since September 2011, more than 80 journalists have been arrested while covering the Occupy Wall Street movement and other protests. Through social media and original reporting, Free Press has tracked and verified these arrests. The ravages of consolidation and the rise of the Internet have converged to create a crisis in journalism. Job cuts have decimated newsrooms, media companies have closed foreign bureaus, and the number of journalists covering statehouses has shrunk to almost zero in many places. Many small cities and towns — and even large cities like New Orleans — are now without a daily local newspaper.